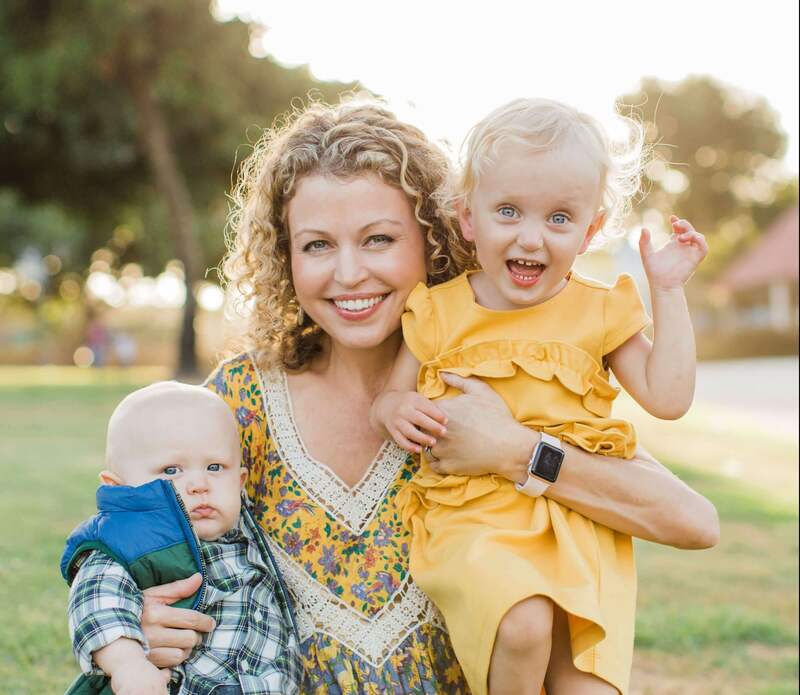 As a mom and a registered nurse I have a lot to say about this topic. What I can say it that nursing is a great career for me. One of the greatest perks of being a nurse is the flexibility. It is possible to make it work with nearly any schedule. Hospitals are open seven days a week, 365 days a year, and they need a lot of nurses to help with patient care. There are day shifts, night shifts, mid shifts and even 4 hour break relief shifts available to many nurses. 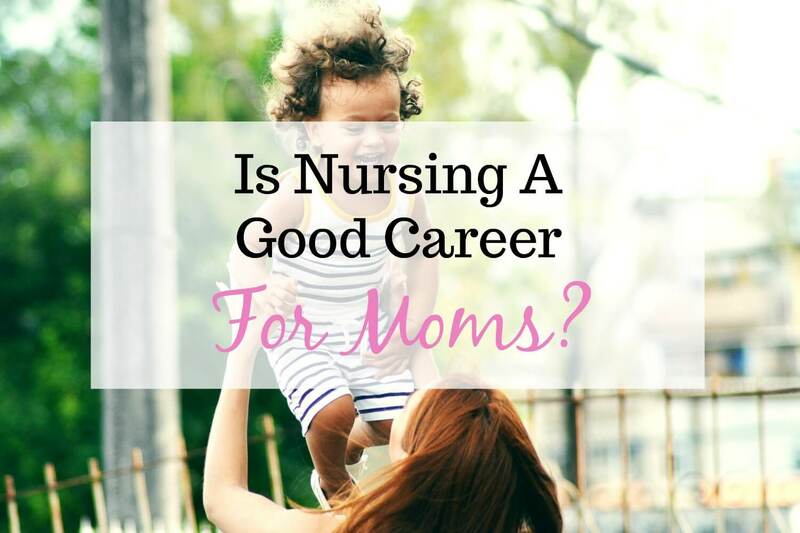 The flexibility also allows for many moms to go back to school and earn an advanced nursing degree which can help create even more career opportunities. A five day work week becomes 3. Unlike most professions, many full time nurses work 3 days a week instead of 5 (a benifit of the 12 hour work day). That means nurse moms get to be home at least four days a week to spend solid, uninterrupted, quality time with their families. There is no travel required (unless you are a travel nurse!). Travel is a lot of fun in the years before you start a family. But once children come along that overnight business trip doesn’t seem so exciting anymore. In nursing you have the option to go to the same workplace each time you go to work. Unless you are attending a nursing conference there really is no reason that you would need to travel for business. Nurses can work per diem. Did I mention that nursing is flexible? The greatest benefit I have found being nurse mom is that I have the option of working per diem. Per diem literally means “by the day.” As a nurse you have an option to work the days that you want to work and stay home with your children on the days that you don’t. You can leave your work at work. Nursing does not require that you maintain a home office. In general, nurses do not have to bring work home with them. It is a great feeling to be able to leave your work at work. Best of all, you are not constantly worrying about quotas, reports that you need to turn in, or managing other employees – all of which many moms who work in business or other industries often have to do. I would not get into nursing if you think that it is an easy job. I assure you, it is not. In fact nursing is the hardest work that I’ve ever done in my entire life. You will need some recovery time on your days off because nursing can be a very physically and mentally challenging job. Because the work is so stressful and can often lead to burnout, I always emphasize how important it is that nurses take good care of themselves. Good nutrition, exercise, yoga and meditation are a few great ways that nurses can make their own health a priority. Since most hospital shifts are 12-13 hours long you likely wont see your children at all on the days that you work. Therefore, from the time you get up until the time you go to bed you will be focused on things entirely outside of your family. For that reason I do not work back-to-back shifts, because I just don’t want to be away for my children for more than one day at a time (another reason per diem nursing works for me!). 12 hour shifts make for a very long workday. An unfortunate side effect is that you are going to be extra tired on your days off when you are with your kids. But lets be honest, being at home with your children can be exhausting too! You may have to work night shifts. Some nurses like to work the night shift. Unfortunately, many nurses, especially nurse moms, do not like to work night shift. Working graveyards is hard on the body because you are constantly fighting your bodies natural circadian rhythm. Over time this can cause or exacerbate nurse burnout. In addition, depending on where you work in the hospital they may have mandatory rotating shifts, meaning that all nurses alternate between night and day shifts. Talk about a confusing schedule! You will likely have to work some holidays and weekends. Hospitals never sleep, and that includes holidays and weekends. While many people are enjoying a “family day” on a Saturday or Sunday, nurses are often working to take care of patients. Unfortunately, sometimes that can mean missing time with the kids, birthday parties, sporting events and other special family outings. 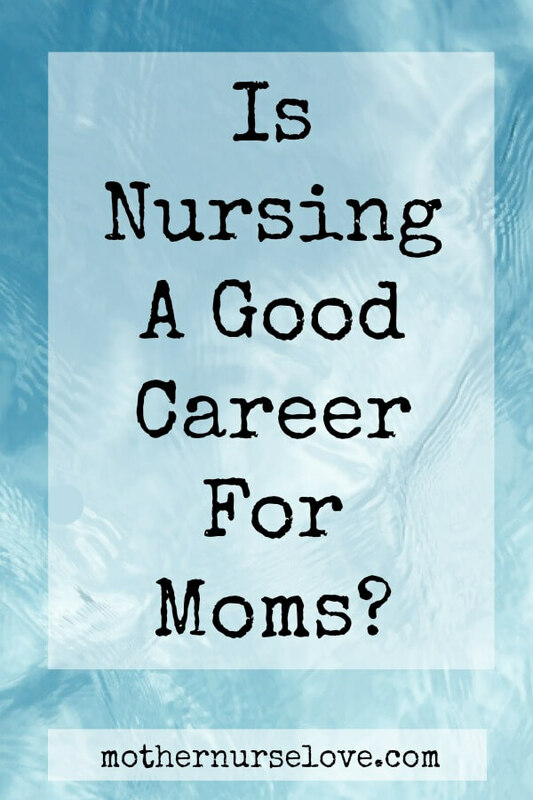 Are you considering nursing as a profession? Leave a comment below! You didn’t mention that some hospitals pay shift differentials on pm shift and graveyard. Were I worked the graveyard differential was over $10 per shift. I worked three graves, 8 hour shifts & only two together for 25 years. Earlier as a day nurse I was always able to switch shifts when my kids were sick. Nursing gave me independence that other professionals don’t seem to have. That is correct. At our facility we get a great differential after 7pm. When I work mid’s I see a big difference in my paycheck. Also, we get a $3 differential for working weekends. It doesn’t sound like much but it sure adds up over time. Thanks for the comment!